Buy off-the-shelf embedded and PC software in EU at www.esacademystore.eu and all other countries at www.canopenstore.com. Micro CANopen Plus is a small-footprint, commercial-grade CANopen implementation with advanced features based on flexible CANopen compliant source code. Designed for small footprint applications. Ideal for situations requiring medium configurability during run-time and great performance on any type of platform, and for building networks that include manager nodes, Micro CANopen Plus provides the most flexible solution. Auto-generated configuration from the EDS/DCF file makes its setup a quick and painless one-step process. Portable. 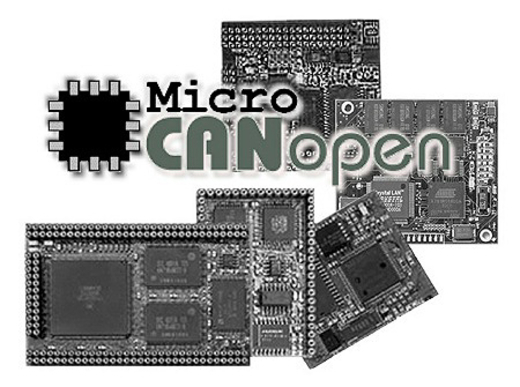 Micro CANopen Plus is written in 100% standard ANSI C code allowing for straightforward porting. For targets without standard support packages, designers familiar with their target processor can easily perform the port themselves. Or, ask us for a quote to add support to your target! Compact. ROM Specifications: 7K - 14K bytes (for CANopen Slaves) depending upon processor and options selected. An Affordable Pricing Structure. Micro CANopen Plus offers a low, one-time fee and no royalties on deployed products and includes all source code with every purchase. Micro CANopen Plus is delivered with an example CiA401 (Generic I/O) implementation and drivers for NXP ARM and CANopen Magic Ultimate simulation. Customized examples for other device profiles are available under our consulting services. Our stack passes the official CANopen Conformance Test! Full documentation is supplied. All software products include a one-year maintenance and priority support agreement that can be extended anytime. Also included is a single licence for CANopenArchitectEDS, an EDS/DCF editor with code generation for quick stack configuration. The following list is an example of the microcontrollers and compiler combinations that Micro CANopen Plus is currently available for as optional add-ons. More combinations are available, please contact us with your requirements. For currently unsupported combinations you can either perform the port yourself or we can perform it for you.